Divination is a term we in this society do not often use. More frequently people write about or describe visiting a fortune-teller, a psychic, an astrologer, or “a reader.” In every case, someone is using a method that allows him or her to see and report on what cannot be easily accessed through ordinary perception, usually regarding what is hidden about a current situation or about what lies ahead in the always mysterious future. The beauty of using divinatory postures is that people can ask questions for themselves; though they may receive help in interpreting the ecstatic trance experience, they nevertheless receive the results from their own experience, rather than getting answers from someone else. . . .
Divination can cover a lot of territory, personal, global, and in the service of group efforts. As you sample the divination postures in this chapter, you will discover that different poses “specialize” in various types of questions. The Egyptian Diviner is a regal presence who gives guidance about issues related to the welfare of the group as well as individual advice for personal development and how best to serve. The Horned Man of Colima Posture addresses individual needs for physical and emotional healing, as well as other personal problems. The Mayan Oracle Posture seems to connect us to a loving but unsentimental Presence who offers wise, simple, and practical advice. Finally, with the Tala Diviner Posture there is a recurrence of the theme of balancing the heat with coolness, as well as balancing right and left, and masculine and feminine energies. Indeed, the essence of divination is to become fully conscious of all polarities and to integrate them into an understanding of the whole. There is something about the intense focus on the face of this figure that suggested it might be a divining posture. The eyes are wide open and there is a hole pierced into the ear, perhaps indicating seeing and hearing. The mouth is open too, but with the right hand held in front of it. Formed from terra-cotta, this hollow little man sits thirty-three centimeters tall. He was found in the state of Jalisco in western Mexico, and he is identified as being from the Tala culture, from about 200 BCE. The date places this figure a few centuries later than the Early Formative Period in western Mexico, usually identified as 1500–500 BCE. The religion in the villages in this part of Mexico at that time was a classic cult of the dead. Back in 1994, the small group of us who were researching its use for the first time began with a question: What, as a group, do we need to do or learn together? I found myself sitting on dry, hot, barren earth that was scorched and blistered by the sun. I could see a few pine trees atop the next hill and a wind was blowing from the left. That was all. The heat of my first experience with the Tala Diviner has recurred repeatedly. Once my face was so hot that I thought I was sunburned from sitting outside earlier that day, and later in the trance I burst into flames. Tonia also was consumed by fire, and her smoke was pulled into the sun, clearing her with subtle heat and deeper levels. Judy said that she was going down and became very, very hot. Finally, there is a recurrence of the theme of balancing the heat with coolness, as well as balancing right and left. Jackie reported, “A lightning bolt set the lake on fire, but we were flying like hawks and dove into the lake where we sizzled to coolness and emerged brownish and wiser. We were treated as leaders, maybe treated as being wiser than we felt.” Perhaps her experience clarifies the Tala Diviner’s purpose. As we experience the great heat of the sun, of consciousness, of Apollo and the masculine archetype, we dive deep into the cool, dark waters of the feminine, spiritual, unconscious worlds and emerge with the wisdom of the polarities in balance. This is divining at its best, going deep in order to become fully conscious and to be able to fly. It is the essence of the mystery teachings of the cult of the dead. Sit on the floor with your right knee raised and your right foot on the floor but with your heel slightly raised so that the pressure is on the ball of your foot. Rest your left leg on the floor and bend it so that your left foot is next to your right foot, with the bottom of your left foot facing your right foot. Place your right elbow on your right knee and bring the back of your right hand to your mouth so that your lips touch the back of your hand. Keep your mouth open. Keep the fingers of your right hand slightly spread. Keep the fingers of your left hand slightly spread and rest your hand lightly on your left knee. Lock your left elbow and extend your arm away from your body. Close your eyes as you face forward. Belinda Gore, who holds a Ph.D. in Counseling Psychology, has been teaching workshops on ecstatic trance throughout the world since 1987. She is the president of the Cuyamungue Institute in Santa Fe, New Mexico, where she carries on the lifework of her mentor, Felicitas Goodman. Author of Ecstatic Body Postures: An Alternate Reality Workbook and The Ecstatic Experience, she lives in Columbus, Ohio. "Four 15 minute segments of rattling and drumming are designed to accompany you during your ritual postures. In addition to the sound, when I played mine on my PC, I found rhythmic graphics that can be used to further enhance your experience." "Whether you are new to metaphysics or an old timer, I think you will find much of value here. There are a number of new angles with which to look at life, ones that will support and motivate you to create the life you truly want." 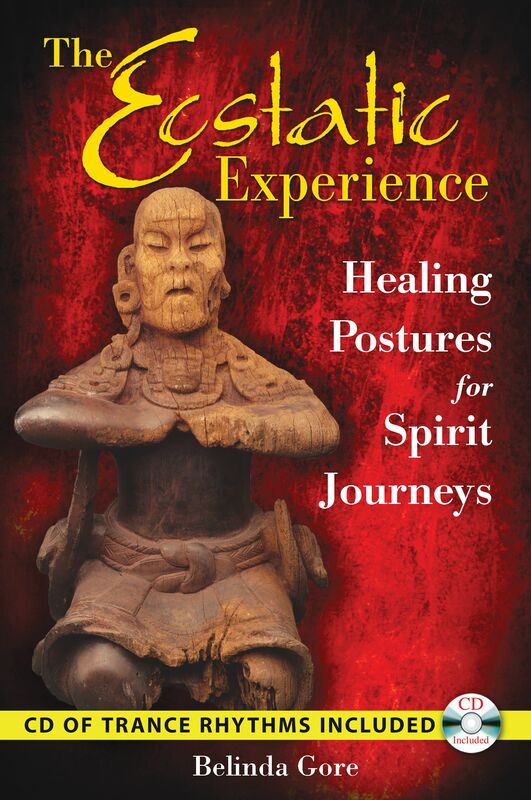 "I have found this shamanic posture work very exciting with continued validation of Goodman and Gore's work as seen in these experiences. Though, if it is read critically and rationally, much is lost. It is the personal experience of the participants that are important, and because of this personal nature, the experiences cannot be quantified or rationally/objectively examined 'scientifically.'"